Tamangur is finalizing the last steps with the county to hopefully obtain access to a wonderful new facility. It would allow access to over 100 acres of pasture, an indoor arena, several dry lots, 6 stalls with runs as well as a 250m track. 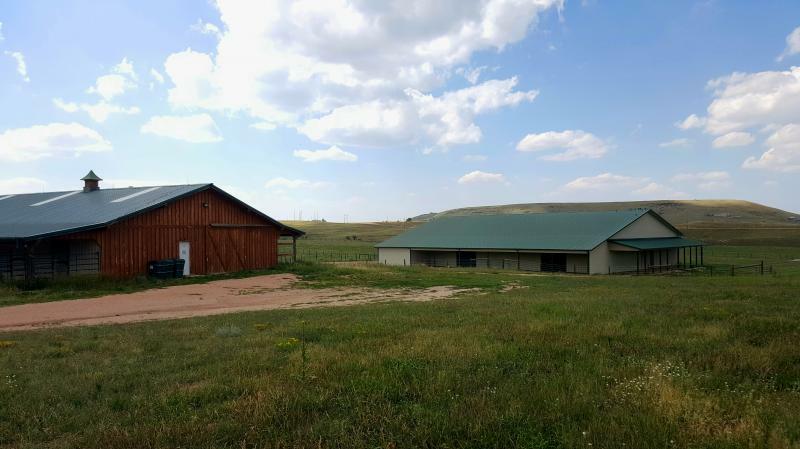 The facility is located only 5 miles from I-25 & less than a mile from highway 83 in Larkspur. Check back for more info soon! We had an amazing trek in Iceland with a great group & amazing horses. 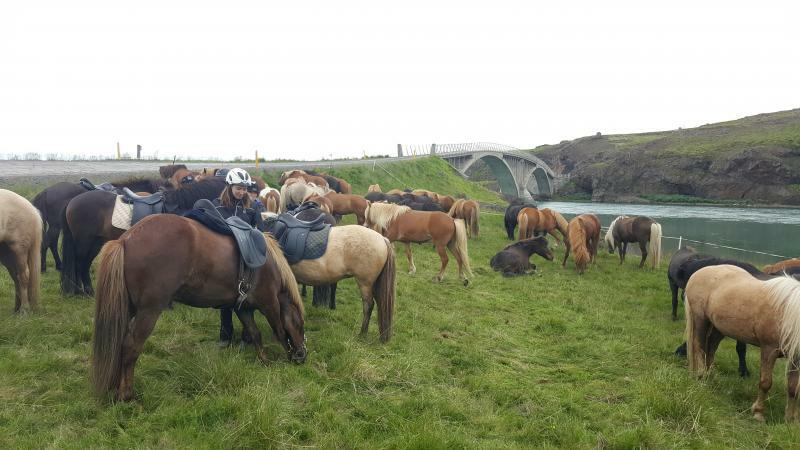 Nothing like riding through Iceland with a herd of 50+ horses. Join us next year! For more pictures visit our Instagram page under tamangur_icelandics. 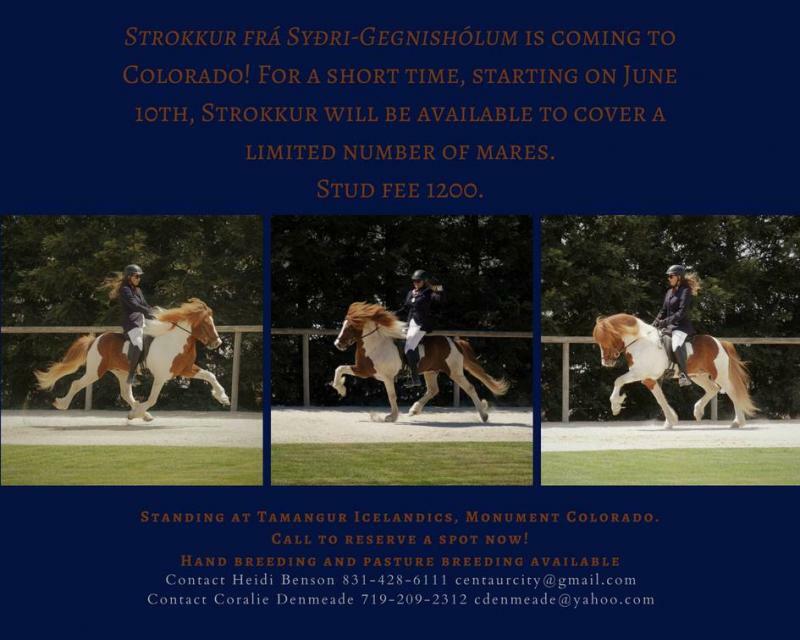 Strokkur frá Syðri-Gegnishólum is coming to Colorado for the June of 2018!! UPDATE JULY 10: Two of the mares have been confirmed pregnant: Elding from Hanging Valley (S: Tý﻿r frá﻿ Arbakka) & Birta from Icelandic Horse Farm (S: Hrí﻿mfaxi frá﻿ Oddholi). Congratulations to the owners!